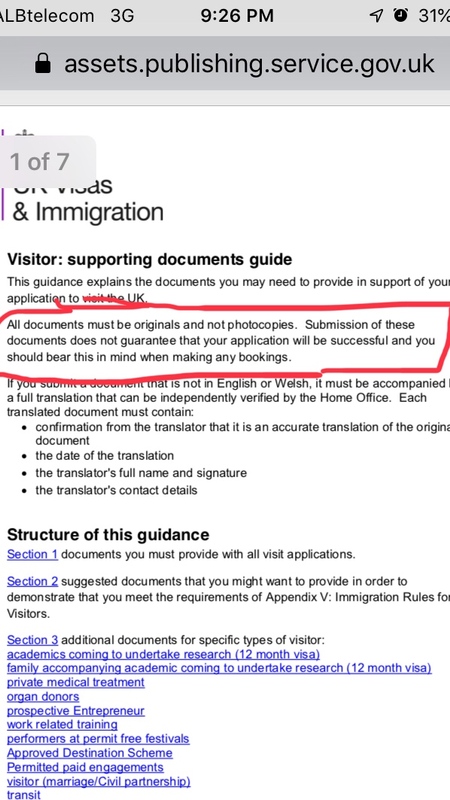 I have read somewhere in the uk government web-page that every document that I send with my application for visa should be original and not a copy. But there is a problem because there are some documents that I cannot find as originals. My trip to England is going to be sponsored from my cousin that lives in england and is a british citizen so the embassy needs a bank statement from my sponsor. As I said he lives in england is it a problem if he sends me the bank statement by email (will this be called a copy from uk visa officer) ? Browse other questions tagged visas uk standard-visitor-visas or ask your own question. UK Visitor Visa refused. Is there any point in reapplying?